Our in-house surface chemical modification and automated pico-Litre volume dispensing capabilities enables us to enhance flow dynamics and provides us with the ability to develop and test ‘lab on a chip’ diagnostic systems from a single fingerstick blood sample. 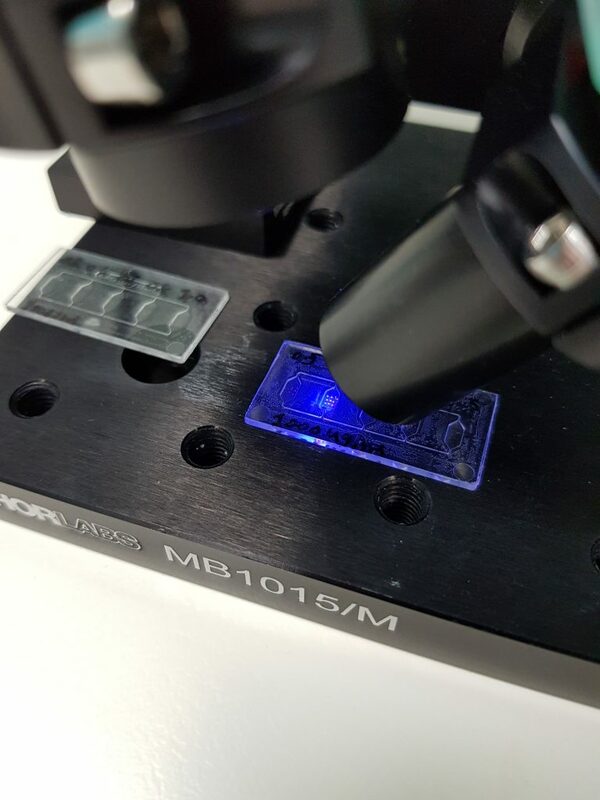 At Medtechtomarket, we have partnered with leading microfluidic injection moulders to produce advanced mould tools and high fidelity microfluidic optical parts and have generated our own IP in microfluidic applications, combining channels of 50-150µm with various detection and reaction systems. Our team of instrument and optical engineers have developed a range of analytical systems to measure and analyse samples. These include micro-fluorescence detection, spectrophotometry advanced vision systems and interpretive flow algorithms. There are approximately 123,000 cases and around 46,000 associated deaths from sepsis reported in England each year, with 70% of cases coming from the community and directly costing the NHS at least 1.5bn annually.